Bird Watching: Are the Hitter-Plunking Pirates Really That Stupid? Things sure got heated in St. Louis this week, and I’m not talking about the 90-plus temperatures in Redbird country. If you missed it — and I’m sure you didn’t — Matt Holliday got plunked, yet again (that’s three times in five games), on his left arm. The Cardinals and Shelby Miller responded by throwing at/behind Andrew McCutchen with no one on and two outs. Along with Jon Jay, Matt Holliday is tied for the lead in all of baseball with 16 hit-by-pitches (HBP). 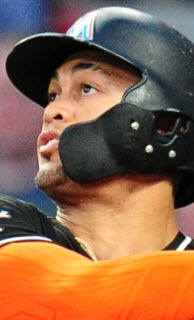 However, where Jay takes the contact in stride, often refusing to move as part of his on-base game at the plate (if Jay had enough ABs to qualify, his .387 OBP would rank 5th in the NL), Holliday gets routinely drilled because his scouting report says he’ll swing and miss at the low and away breaking pitch….which makes him crowd the plate to reach that pitch…which makes teams bust him up and in. And then there’s the incident between Pittsburgh and Arizona that led to both Paul Goldschmidt and Andrew McCutchen getting injured by HBPs. After losing their MVP for a couple weeks in a pennant race, you can understand why the Pirates are a little sensitive to inside fastballs. But let’s not pretend like the Pirates have a squeaky clean track record here either. Through more than five months of baseball, the Pittsburgh Pirates lead all of major-league baseball teams with 76 HBPs. That’s 14 more than the second-place team (Chicago White Sox – 62) and 17 more than the St. Louis Cardinals (59). In the entire 2013 season, no team hit more than 70 batters (again, the leader was Pittsburgh with 70), and only the Chicago White Sox even came close to that mark with 68 in 2012 (the Pirates finished way down the list at 45). Obviously, manager Clint Hurdle has convinced his team that to be successful in this league, you must pitch hitters inside. Sometimes uncomfortably inside. And clearly teams are starting to take exception to Pittsburgh’s unusually high number of HBPs. 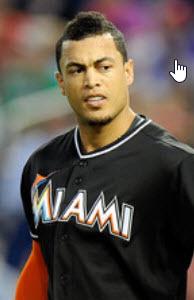 So why then was it such a big deal when Matt Holliday was hit by that pitch in yesterday’s game by Edinson Volquez? If the Cardinals — including Holliday — have two of the most hit batsmen facing off against the team with far-and-away the most hit batsmen in baseball over the last two seasons, why is anyone surprised when Matt gets hit? This is September, and the Cardinals and Pirates are knee deep in a pennant race. No one wants to see difference makers like McCutchen and Holliday go down due to injury, but that’s exactly what’s going to happen if order isn’t restored. 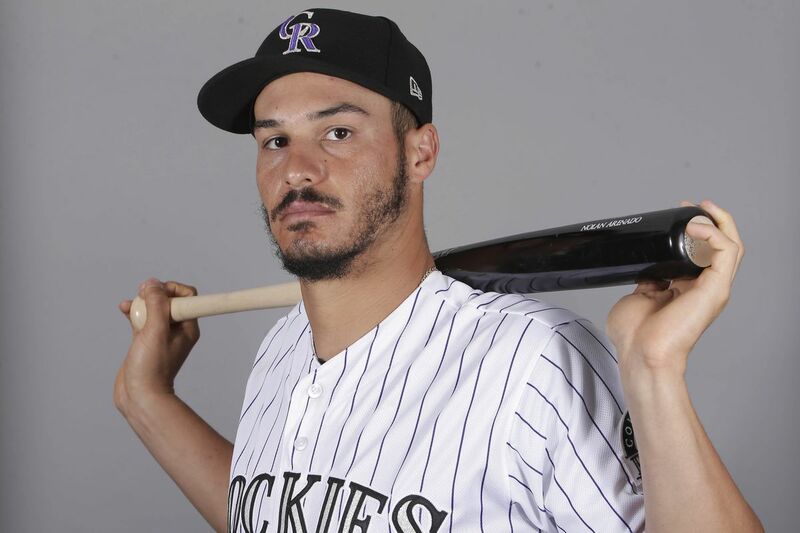 It happened for a couple weeks to the Pirates already, and reports suggest Andrew is still dealing with the nagging effects of that rib shot. It nearly happened to Holliday when the Cubs hit him on the left elbow over the weekend, causing him to double over in pain. He now wears a black elbow pad on his lead arm when he’s in the box. And it could’ve happened to both in yesterday’s game if pitchers don’t back off just a bit and figure out where the hell their fastballs are going when they throw high and tight. That’s the message the Cardinals were trying to send to Pittsburgh by throwing behind Andrew McCutchen on Wednesday afternoon. Back off. Stop hitting our guys — especially our most valuable guys — or we’re going to hit yours. No, we don’t think it’s intentional when you plunk Matt Holliday (his third plunking in five games and the Pirates’ third hit batsmen in two games), but we do think it’s becoming irresponsible, and you can easily do something about it. So do it. That’s it. The Cardinals are doing what many teams that face the Pirates are trying to do — get them to back off the out-of-control inside pitches. It’s not a “cheap shot,” as Hurdle claimed in the post-game presser, nor is it in retaliation for a Holliday HBP perceived as intentional, as the Pirates’ announcers seemed to believe. It is very simply a warning to the Pirates’ bench. Stop hitting our guys, for whatever reason, or we’re going to hit your guys. Well…then that just makes you stupid. It’s time to start praising Mike Matheny again. So many of us do it — myself included. When things are going wrong for the Cardinals, the fans start piling on Matheny’s lack of tactical intelligence. His in-game decisions have become just as oddly puzzling as a set of IKEA furniture assembly instructions. Sometimes, it seems like he’s speaking a different language than the rest of us. And that’s being kind. But that’s when things are rough. When things are good, as they have been on this recent first-place-seizing win streak, Matheny’s ability to maintain calm, forward momentum, and an optimistic outlook in the clubhouse is heralded as the reason John Mozeliak saw fit to hand the clubhouse to the former catcher in the first place. His even demeanor and faith-heavy sentiment carry his team through the doldrums of June and July, drag them through the fatigue of August, and then prop them up and turn them loose in the pennant race pressure of September. From April through August, Matheny is MLB’s worst manager, but in September, when other teams are fading fast (see: Brewers), Matheny’s Redbirds are grinding and competing and making him look like the second coming of Joe Torre. The reality is…both are true. When the Cardinals committed to Mike Matheny as the Cardinals’ manager, they knew what they were getting. A low-end tactical mind with the intelligence and willingness to learn (albeit after he stubbornly watches his initial approach fail repeatedly) and perhaps one of the best leaders of men in the game today. And that’s exactly what they’ve gotten. Now we’ll see if his approach can once again win the day. Jon Jay is flat-out impressive. 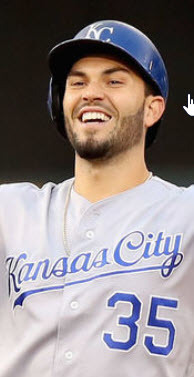 His batting average and on-base percentage rank in the top four or five among MLB center fielders since 2010, and his 2014 batting average would lead the entire National League if not for a lack of qualifying at-bats. But it’s Jay’s lack of defensive impact and slugging ability that continues to bite him. In an era of WAR and advanced defensive metrics, Jay simply doesn’t measure up. Sure, his Fangraphs WAR currently ranks higher than Peter Bourjos (2.4 vs. 1.6), but Jay had to hit .316 with an OBP of .387 (both career highs) to get there. Bourjos’ defensive ability (8.9 vs. 1.0) is far-and-away the better option, and his recent record at the plate suggests the offensive difference may not be very far apart in the future. And that’s the conundrum…the future. Jay has shown the ability to hit .300 in multiple seasons, but can they count on him to hit .300 more often than not for the next several years? 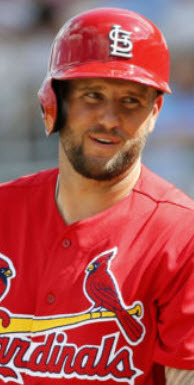 Bourjos’ defensive ability and speed seems to play every inning of every season, but is his recent offensive resurgence indicative of what the Cardinals can expect from him going forward, or are his free-swinging ways of early 2014 the true Peter Bourjos? With no clear answer in front of them, Mozeliak may choose to maintain the status quo until one player seizes the job for good or another solution presents itself (Grichuk? 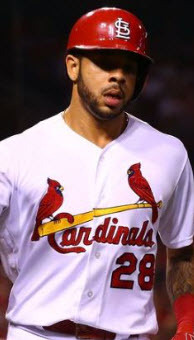 Tommy Pham? A free agent…? etc.). That means bringing the Jay/Bourjos platoon back for a couple more seasons…and that likely means giving Jon Jay a substantial raise for the next two seasons to buy out his arbitration years. Is Michael Wacha getting pushed too far too soon? I had no problem with pushing Molina to return earlier than expected as long as the new medical staff cleared his thumb to play. His value behind the plate, in the clubhouse, and on the field makes letting him find his comfort at the plate while on the job more than worth it. But Wacha’s shoulder…that may be a different story. If he was coming back against a middling team in June, I may not be as concerned, but the combination of facing the Brewers in a pennant race in September may be just the perfect storm of high-pressure innings that snaps Wacha’s right shoulder. It just makes me nervous. But, the Cardinals need a better option than Justin Masterson (maybe Martinez, Gonzales, and/or Lyons could take that spot, but many would consider all three a higher risk than Wacha against a contending team). 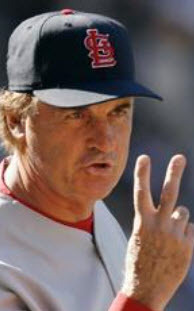 At least the Redbirds have two things going for them, here. For one, they already expect Wacha to throw a minimum number of innings and pitches. That should lead Matheny to be proactive in his assessment of Wacha’s fatigue and physical comfort on the mound. For another, they’ve already identified the pitcher to back up Wacha in his start against the Brewers. 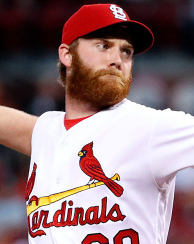 There won’t be any “push him one more inning” or “wait two more batters for a better relief match-up.” When it’s time to get Wacha, Matheny won’t hesitate. Both of those items should limit the risk to Michael’s right shoulder…but it still makes me nervous. After all, one of the things the Cardinals love about Wacha is his intense competitive edge on the mound…and this is the Brewers…in September. How do you cage that intensity and tell a guy like that to calm down a bit? « Bird Watching: Kelly and Craig for Lackey and Littrell…? Hey. IKEA instructions are awesome, okay. Every other furniture company could take a lesson from them.